Every month a new blockbuster movie appears that promises to offer something fresh and original that audiences have never seen before. Studios tend to heavily promote the big budget thrillers that rely on plenty of special effects and jaw dropping action scenes. However, some of the greatest movies ever made rely on little more than a clever plot and stellar performances from the actors. The following 11 movies are wonderful examples of filmmaking that everyone should see at some point in their lives. A persistent man convinces the other jurors one by one that the case is not as obvious as they think. 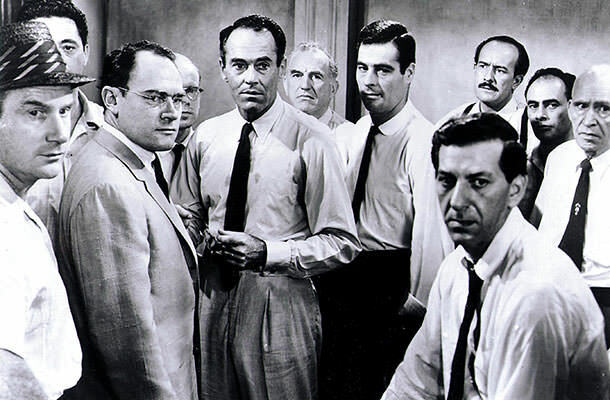 This 1957 movie by director Sidney Lumet examines the prejudices and biases humans must deal with when making a group decision. A group of 12 male jurors are tasked with deciding the fate of an 18 year old boy that is on trial for stabbing his father to death. 11 of the jurors have already made up their minds and condemned the boy based on the fact that he is from the slums. Only juror number eight played by Henry Fonda feels sympathy for the boy and attempts to convince the other jurors that there may be more to the case than meets the eye. However, he has a difficult task ahead of him as many of the jurors are either disinterested or desperate to get the trial over with and leave. The vast majority of the movie takes place within the same room with only a few short scenes taking place in a bathroom and the entrance to the courthouse. Henry Fonda and Martin Balsam star in this gripping movie that was based on the 1954 play by Reginald Rose.